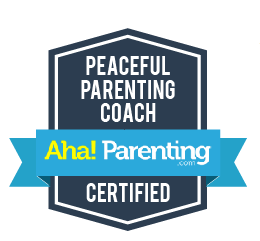 As one of only 15 Peaceful Parenting coaches certified by Dr. Laura Markham worldwide, Olivia is pleased to offer a model of loving guidance for parents facing challenges with their kids. If you've grown dispirited by your spirited child, have found that yelling and time outs aren't working anymore or are just out of ideas, Olivia can help get you and your family back on track. Through connection and compassion, you CAN get your child to listen without resorting to bribery, yelling or hitting. Whether your child is two or ten, developing a warm, loving relationship is key to setting the stage for their future success. But if right now everything feels like a titanic battle of wills and parenting is more chore than joy, Olivia can help. By listening closely to your family's unique story, Olivia will help you develop and implement practical strategies that are tailored to your circumstances. If you'd like to feel good about parenting again, contact Olivia to set up a time to speak.